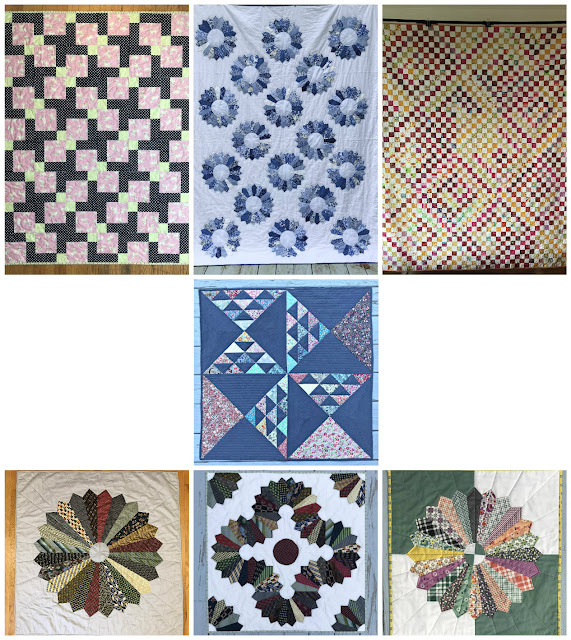 7 quilts - I haven't really been inspired to create this year so it was good to make some gifts to keep me going and it's so great to finally have Blue Plate Special out of the UFO pile. Even if I don't find my Sewjo next year I've still got enough of a backlog to keep me busy. My 8th Boston MQG retreat which was the only meeting I made it to all year. 1 Kid accepted to college - how did that happen!!! 153 books read - Favorites: Tangerine by Christine Mangan and The Wife by Alafair Burke. I love this week between Christmas and New Year. It's such a great time to relax and recharge. I've spent a lot of time reflecting on this last year and making plans for the next. 2018 is going to bring a lot of changes but I welcome this opportunity to flourish. 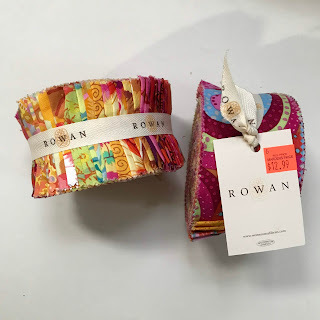 I got a great deal on these Kaffe Fassett jelly rolls at Marden's and paired it with a couple of Bella jelly rolls from my stash. 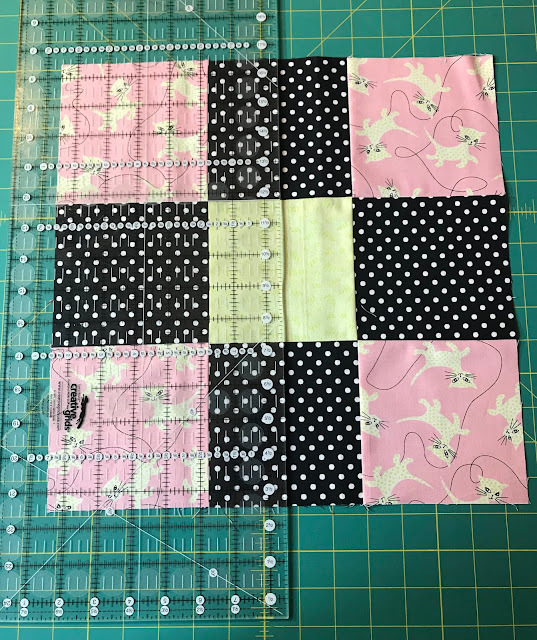 It was so nice not having to cut all those strips but I've trended away from precuts because of the lack of consistency. This drives me nuts!!! 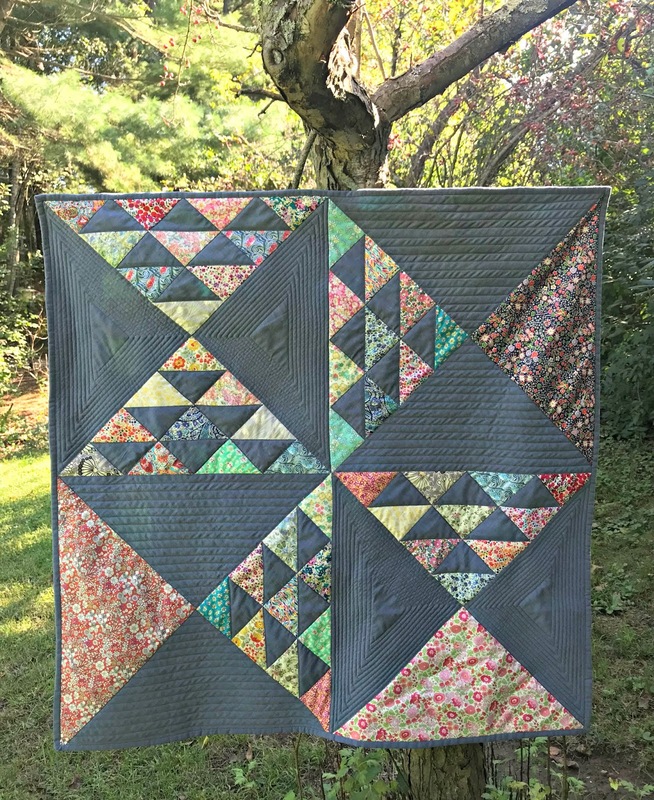 Bonnie Hunter of Quiltville has the go to tutorial for making a Scrappy Trip Around the World but I also relied on this variation by Woodberry Way (and also the pressing directions from Hyacinth Quilt Designs). I think adding the white helped calm down all those crazy Kaffe prints. 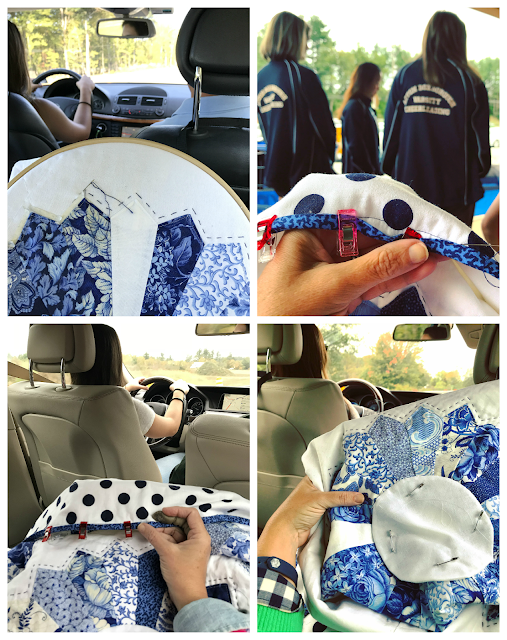 This is a great project for when you just want to sew without having to think too hard. 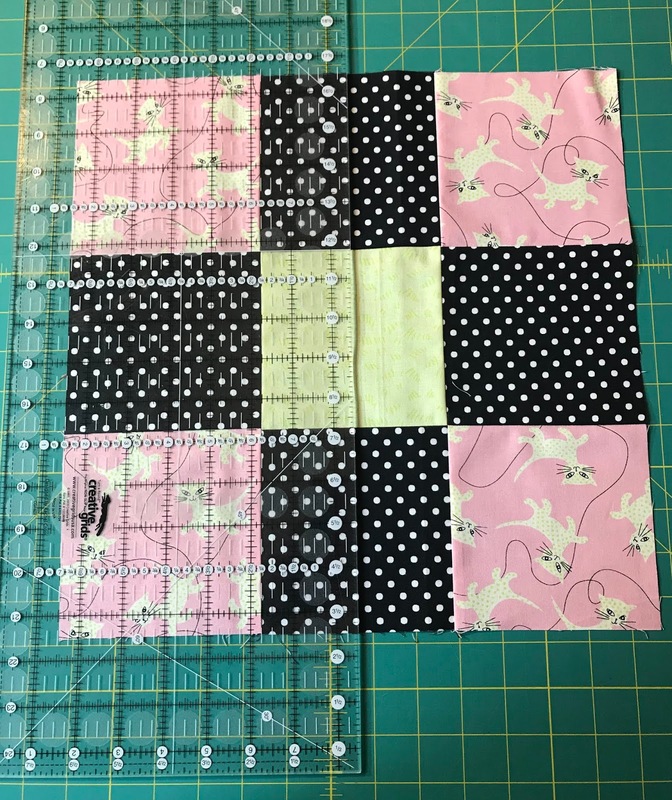 Other than remembering which seam to unpick it goes together pretty easily and it's nice to have big blocks. 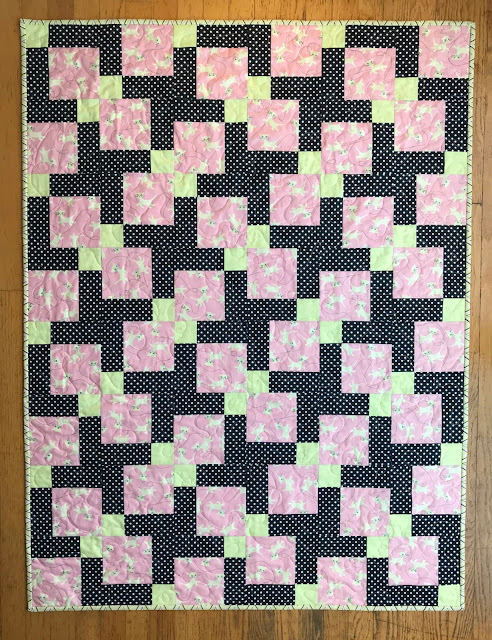 Mine finish to 16" but I still needed to make 54 of them to get make a queen size quilt. 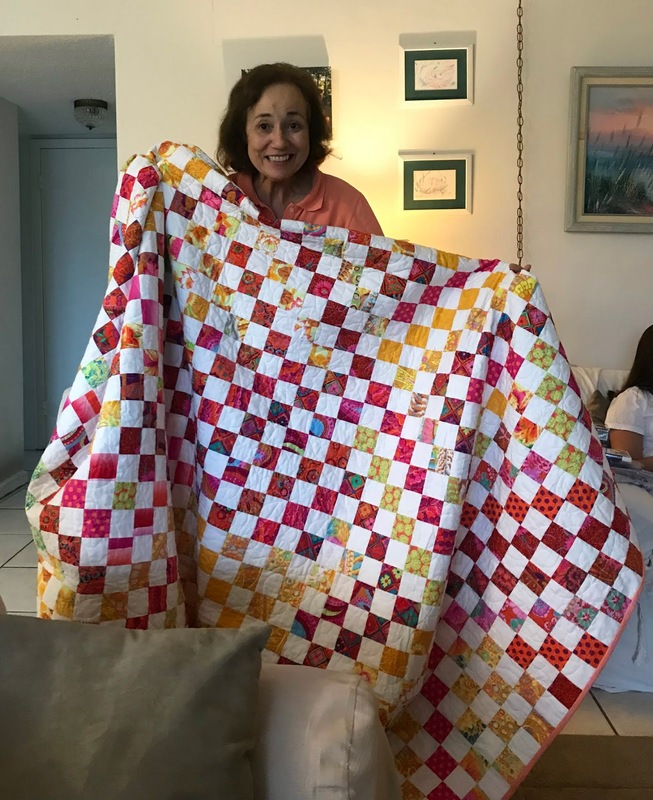 There was no way I was going to quilt something so massive at home so I finally booked an appointment at Burlington Electric Quilters. 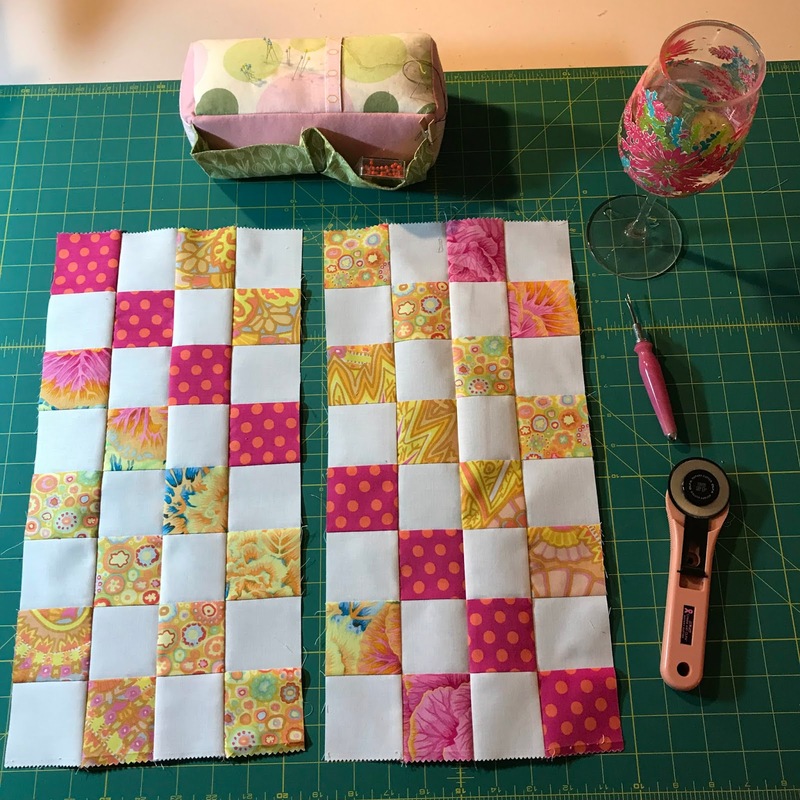 Louise has kept things very much the same as they were with Laurena so in no time I was able to get this loaded up and quilted. 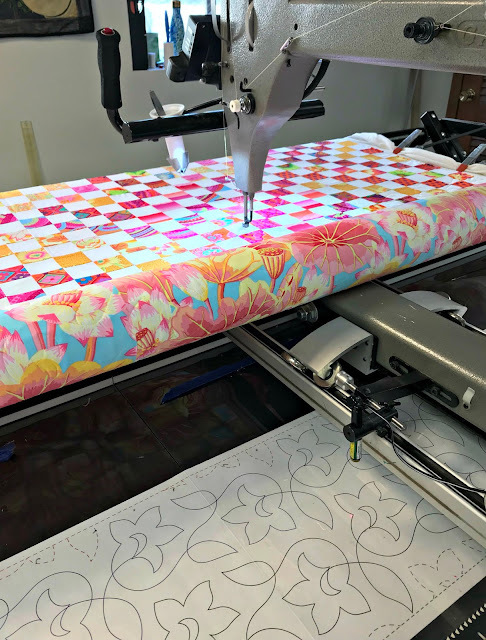 I used this Wildflower pantograph to soften the straight lines of this quilt. And after a lot of time tacking down the binding I finally got to deliver this one. 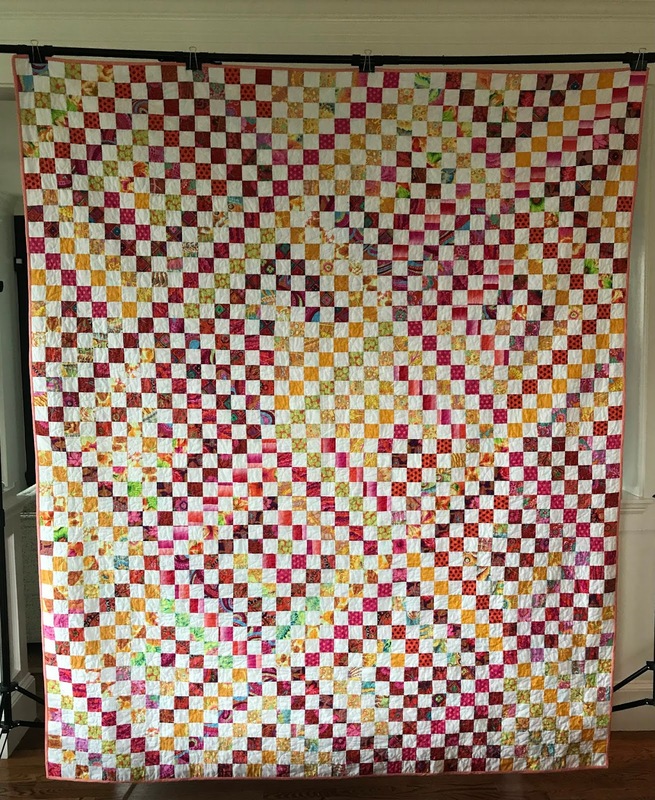 Finished quilt is 80" x 100"
Pattern: Trip Around the World. Fabrics: Kaffe Fassett Collective Hot Design Roll. 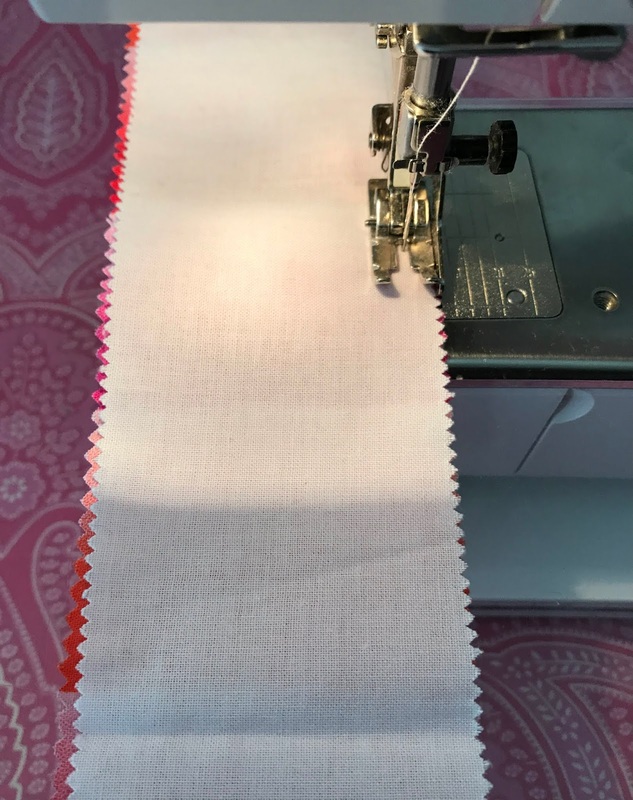 Moda Bella Solids Bleached White jelly roll. Batting: Quilter's Dream Orient. Backing Kaffe Fassett for Free Spirit Lake Blossoms. Thread: Superior Threads King Tut in Sunstone (982). 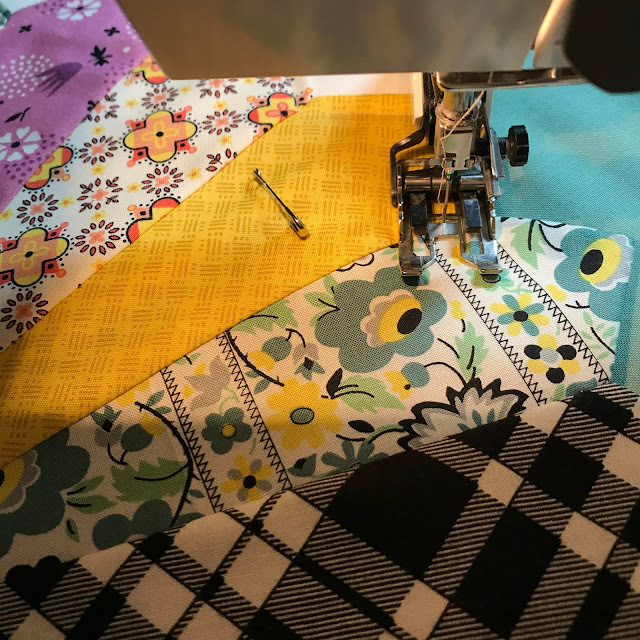 Quilting: Wildflower pantograph by ClothWerx. It wouldn't be October if I didn't whip up something Ghastly! 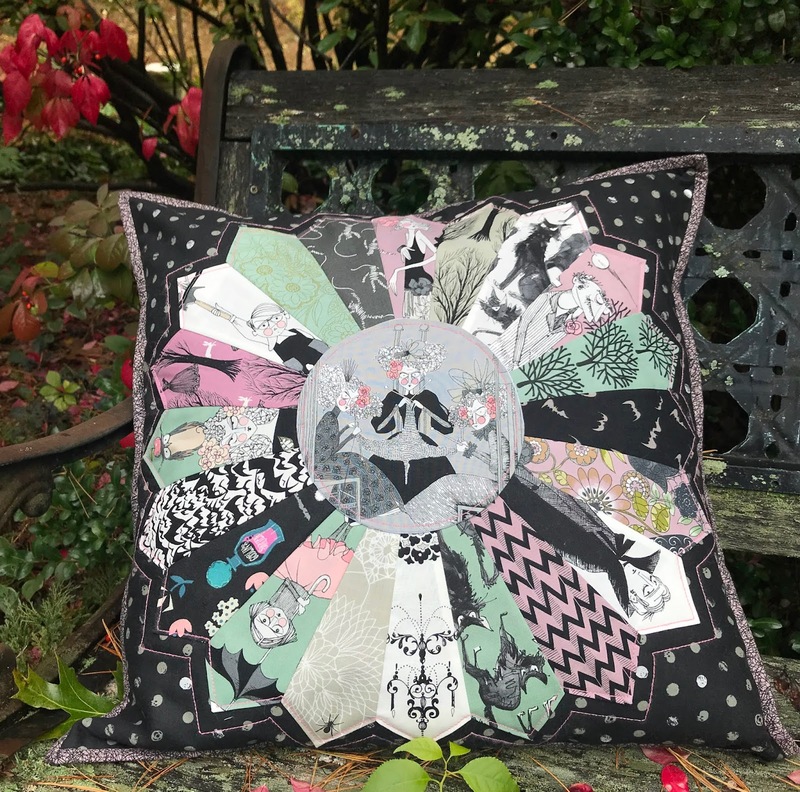 Since I've been on a roll with the Dresden plates I decided that was what was missing from my Ghastlies collection. I'm out of practice so I didn't remember to take pictures of my process. This is another one made using the Easy Dresden Ruler by EZ Quilting. 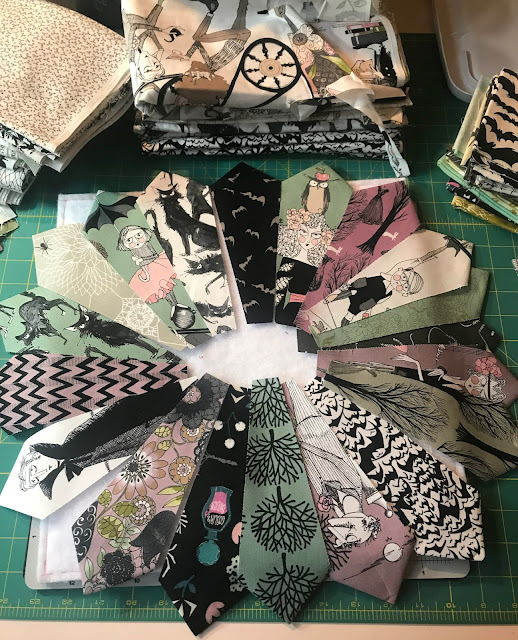 I dug thru my stash of Ghastlies and Spellbound and chose a mix of fussy cuts and all-over prints for the wedges. 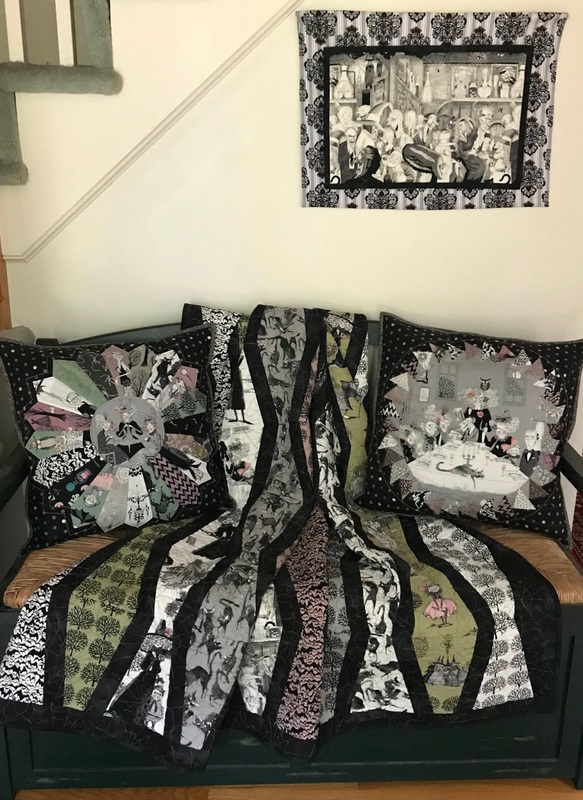 I wanted this to match my Ghastly Beauty pillow so I stuck with the same background fabric and again used Aurifil's Lana wool to quilt it. 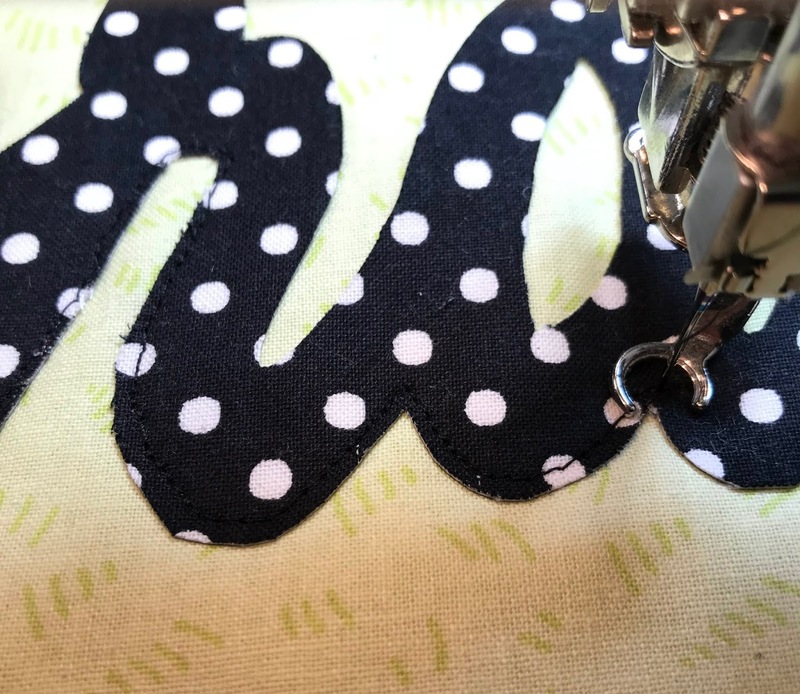 I love the extra dimension the chunky thread adds. It's been awhile since I did a zippered pillow cover so I needed to review my favorite zipper installation tutorial by s.o.t.a.k handmade. Still the best one out there! And here are the Ghastly siblings together. 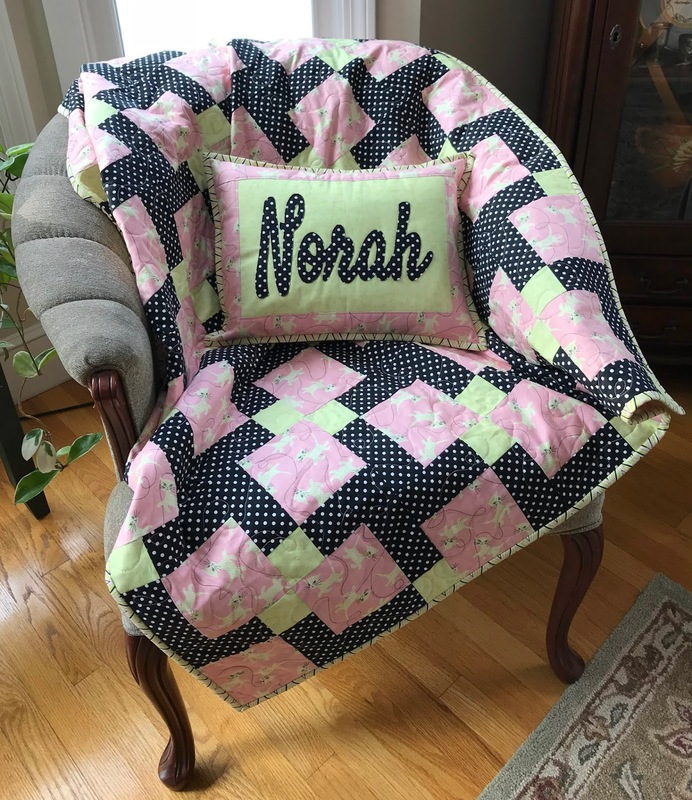 I feel like I did a better job using fabrics that contrast on this one. And now we have a Ghastly entrance ready for trick or treaters... enter if you dare! Finished pillow is 21" x 21"
Pattern: Dresden plate using the Easy Dresden Ruler by EZ Quilting. If you've never tried one check out this fabulous tutorial at Amy's Creative Side's or Amy Gibson of Stitchery Dickory Dock's Dresdens Decoded Tutorial. 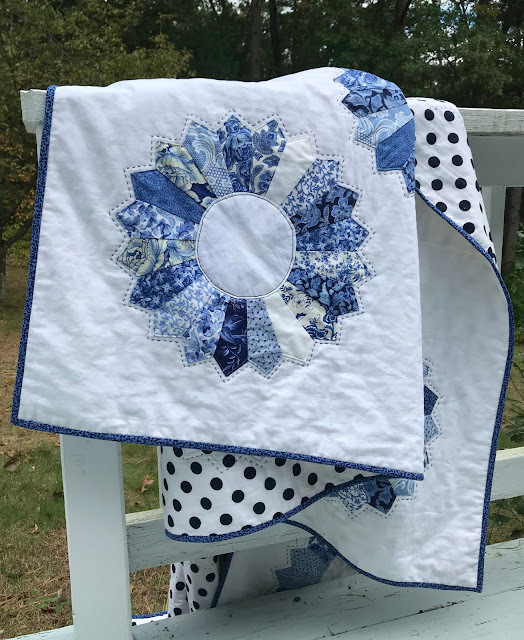 Finally get to serve up my Blue Plate Special quilt! It was inspired by the amazing Greenleaf Goods' Ode to Denyse Schmidt. I pulled out my massive stash of China Blue fabrics for the Dresden plates and used white linen for the background to continue the fine dining theme. 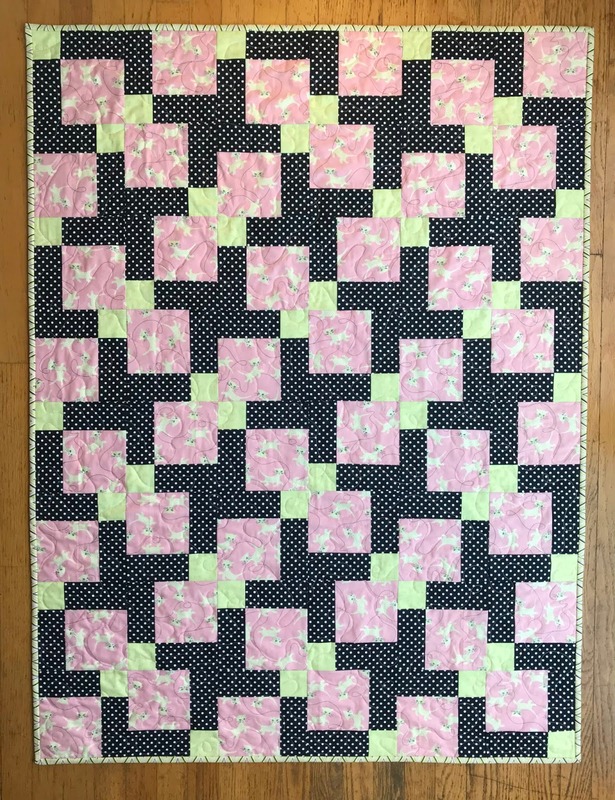 The final result is much more traditional than I intended but it was a fun quilt to make. 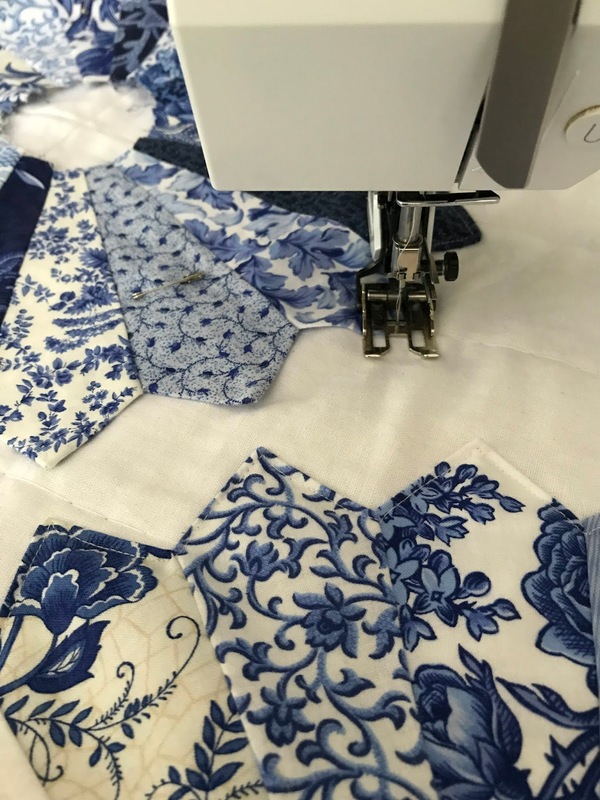 I love the bold look of the big stitch quilting with 12 wt. 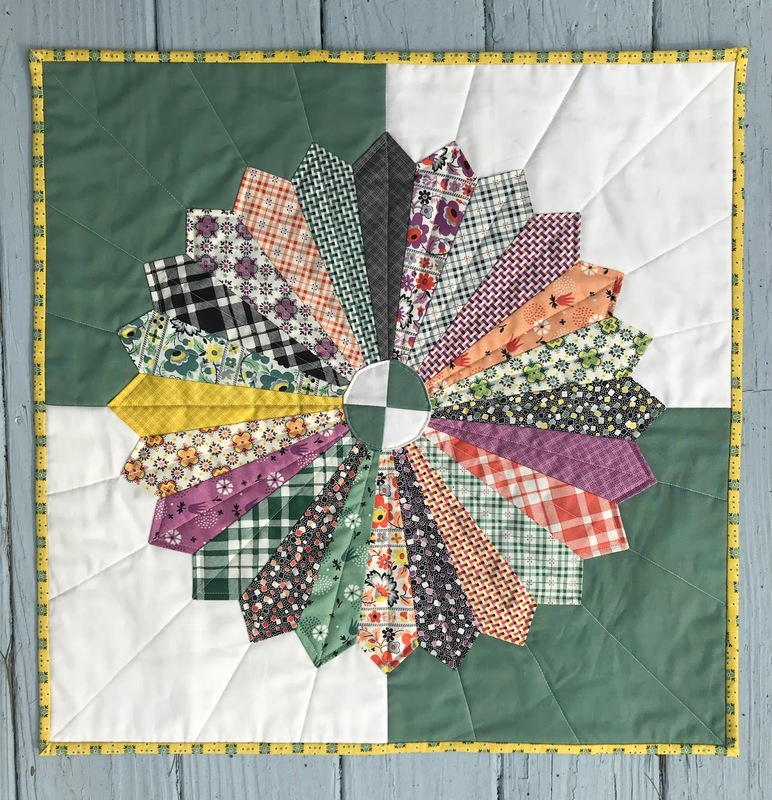 Aurifil. This one got dragged around a lot. 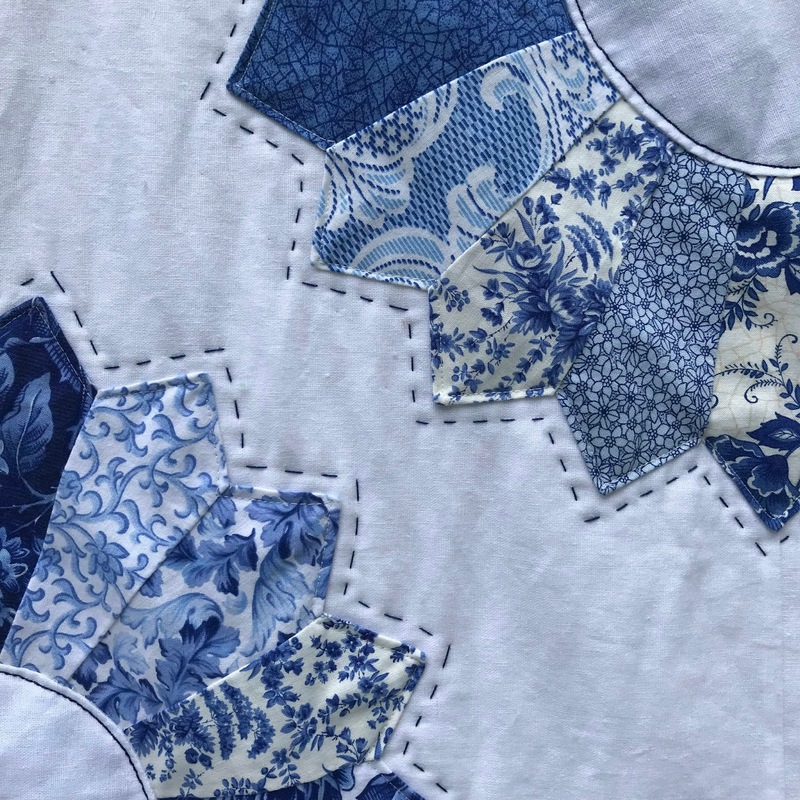 Note to my future self, white linen might not be the best choice for a quilt with hand quilting and applique. I can't believe this isn't covered with blood stains and grime! 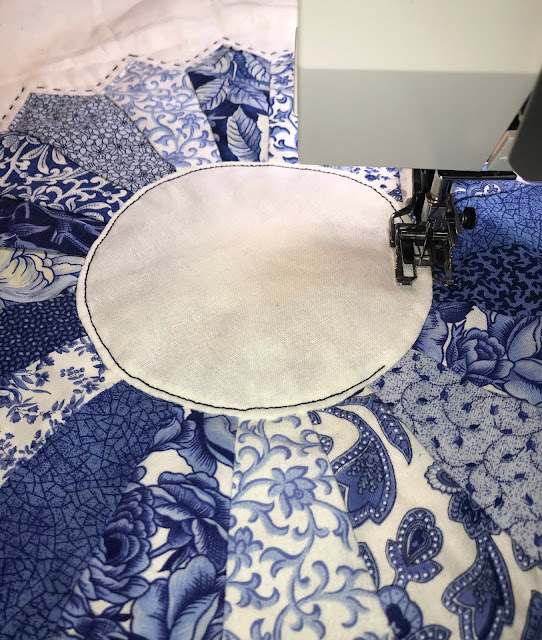 At that point I thought I was done but it felt like it wasn't quilted densely enough so I went back to my machine. 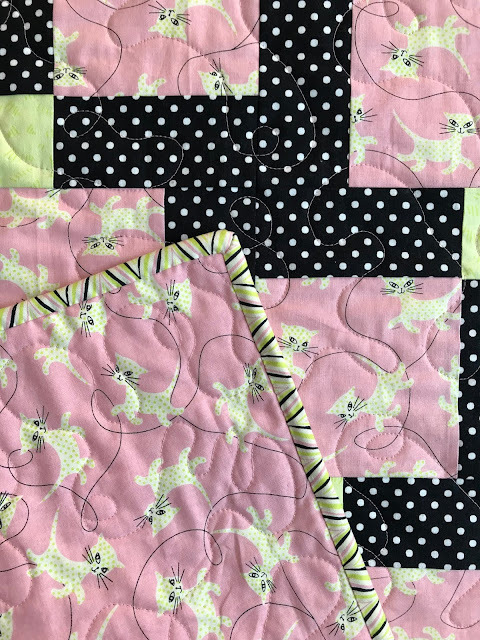 It probably would have been nice to hand quilt the centers but that would have required marking and it was faster just to machine quilt them. 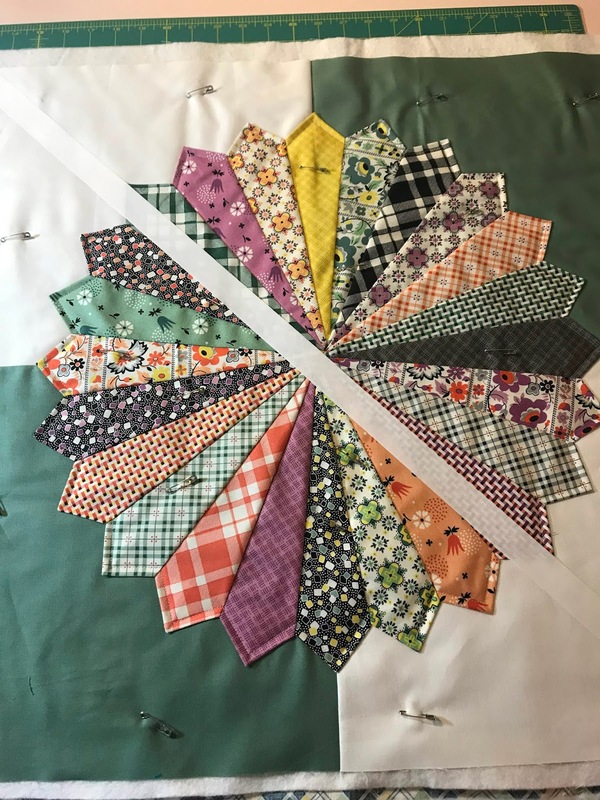 I stuck with the Aurifil 12 wt. (50 wt. in the bobbin) so the quilting really shows. 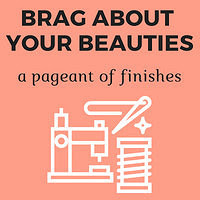 Sharing the love with this week's Brag About Your Beauties Pageant by Michelle at From Bolt to Beauty. 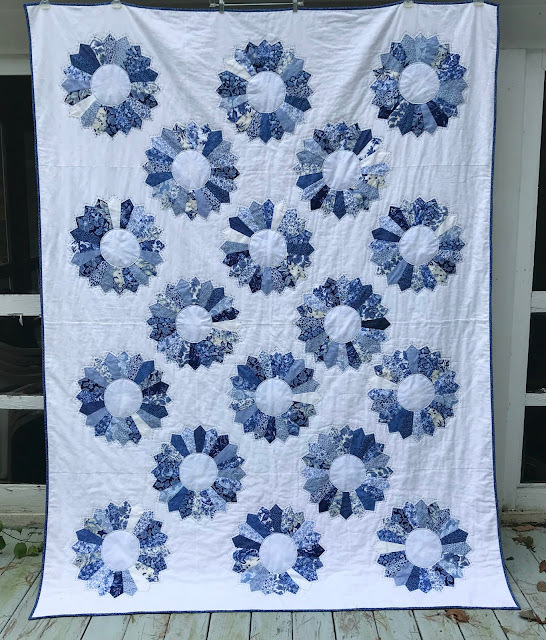 Finished quilt is 72" x 96"
Fabrics: Quilts for a Cure Fine China Blue collection by Bonnie Benn Stratton for Northcott. Essex Linen - White. Thread: Aurifil in Natural White (2021) and Midnight (2745). 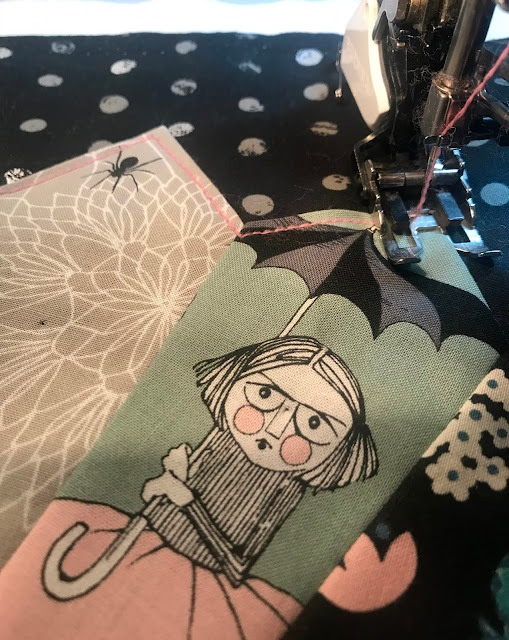 Another quick finish I found buried in my WIP pile... Before I tackle a major project I like to make a proof of concept just to be sure everything is going to work out correctly. 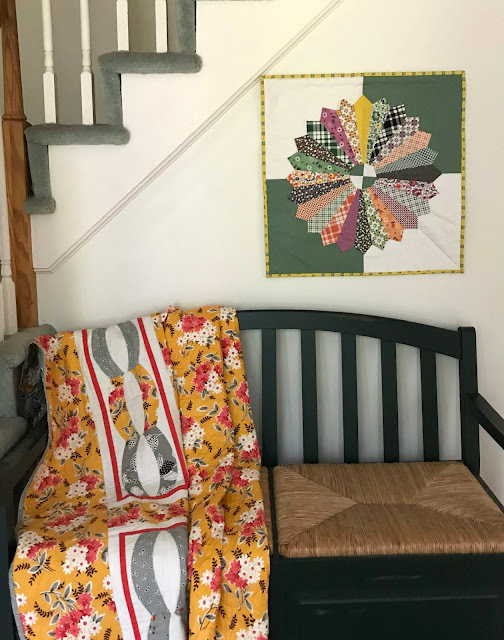 Even though I'd already made a Dresden quilt I was really nervous about screwing up my memory tie quilts so I made this wall hanging as a practice run. 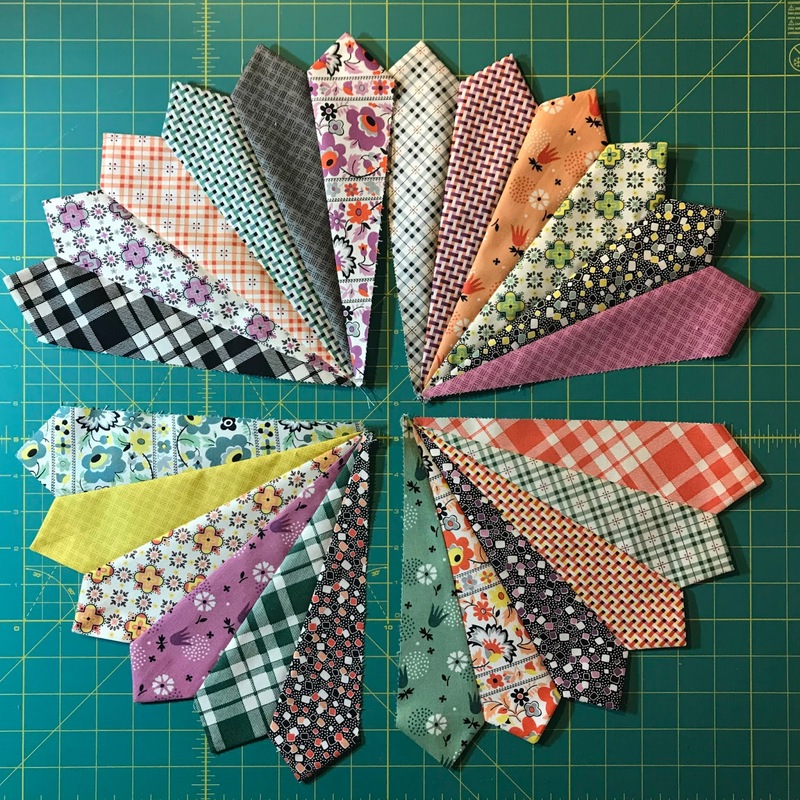 Somewhere along the way I'd picked up a Denyse Schmidt Eastham layer cake which was the perfect size for making these Dresden wedges and meant I didn't have to waste time with a fabric pull. I bought this 15 ° ruler and cut my wedges to use the full 10". 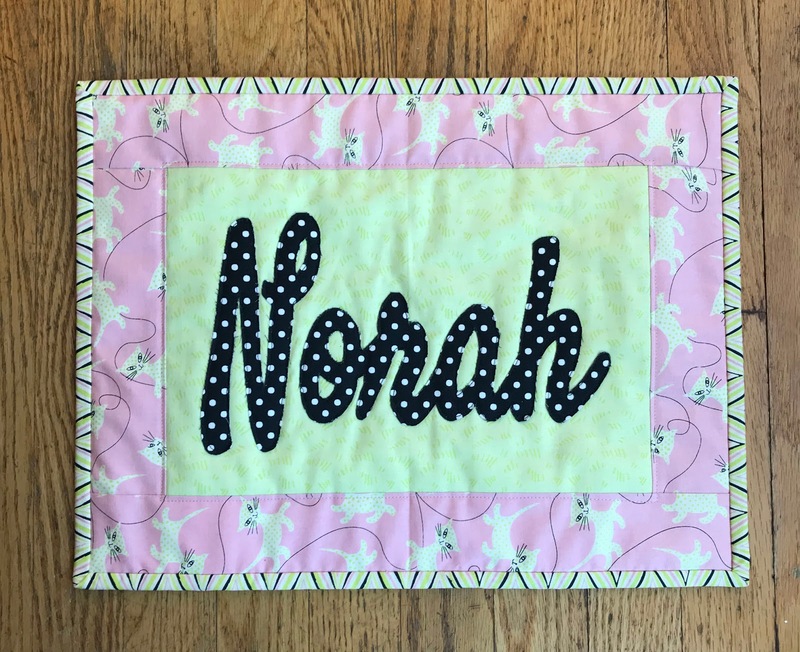 Do you ever run out of things to say about quilting? I'm not really sure what else there is to share about this one... 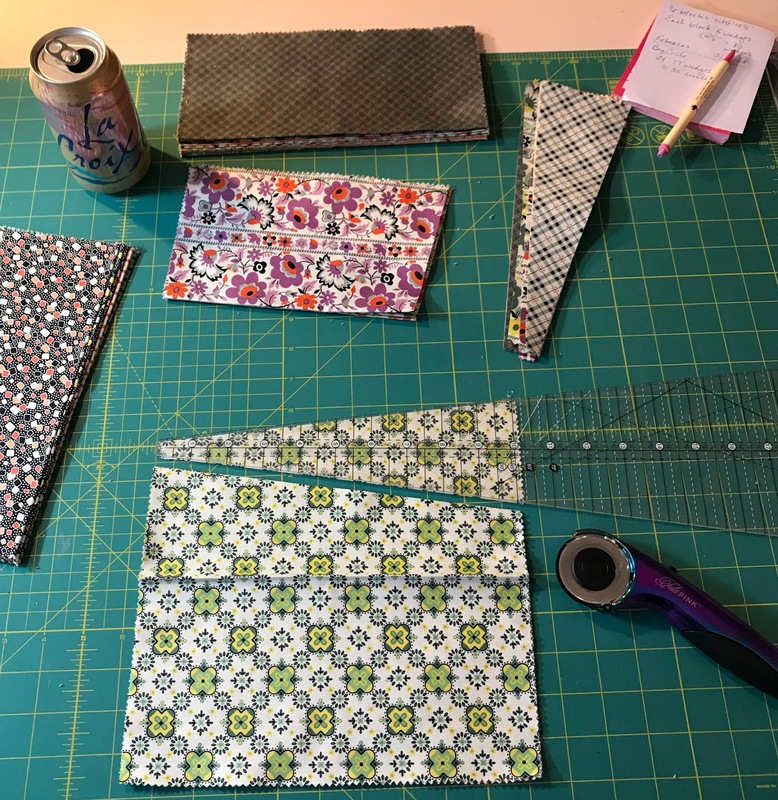 I kept sewing wedges together into bigger components until I had a full plate. 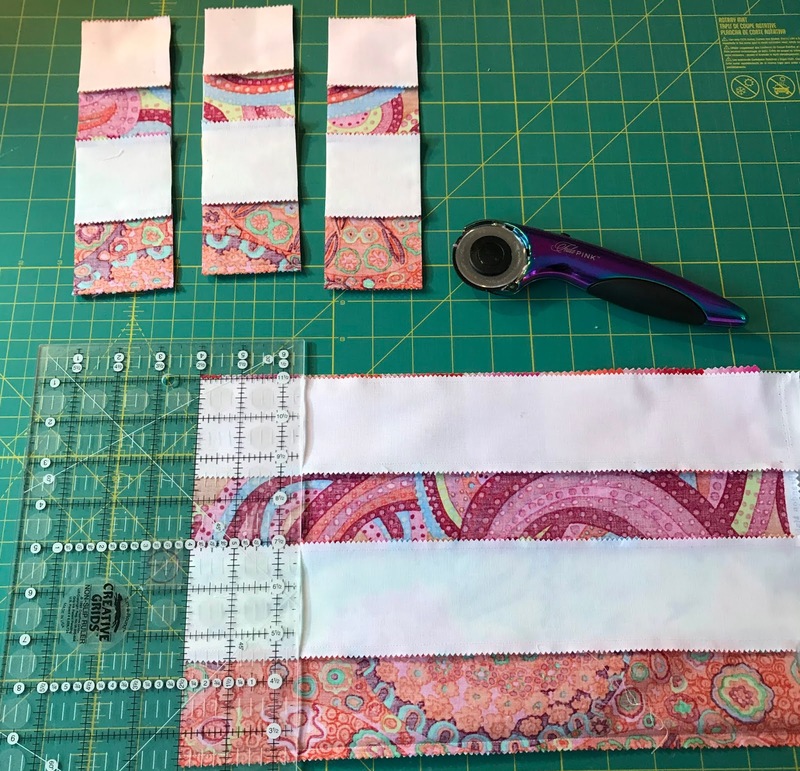 I made my quilt sandwich and quilted the plate in place. From there I tested quilting radiating lines thru each wedge. It gets a bit thick in the middle but I like the effect. Since this was really only meant as a test I decided to use some of the solids from the layercake for the background as well. Of course there were only 2 of any color so I got creative and went with this two-tone background. I think it makes the quilt much more dynamic but getting the opposing quarter circle wedges to line up in the center at the end was definitely a challenge. This was another one I found just waiting to be bound. 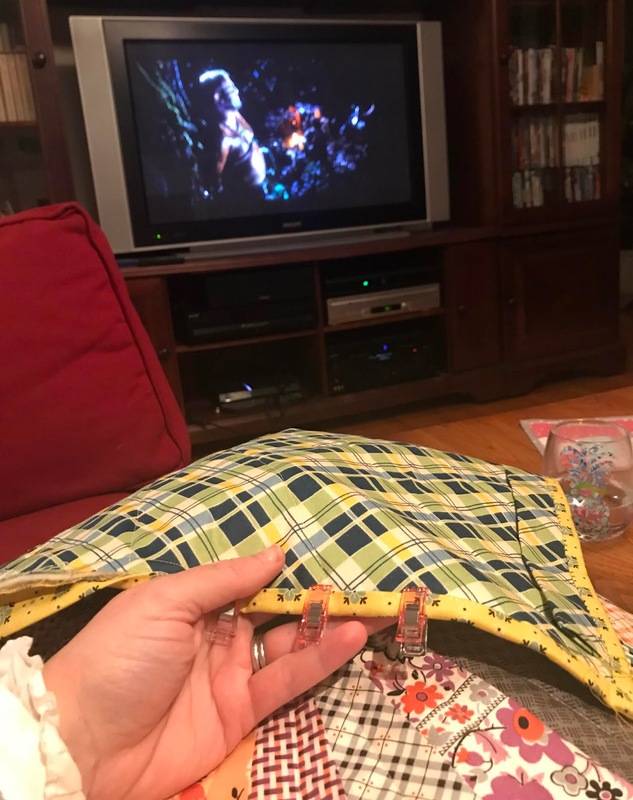 I was on a roll and whipped together a binding, slapped it on, and hung out with the kids for a rainy day movie marathon to finish it up. 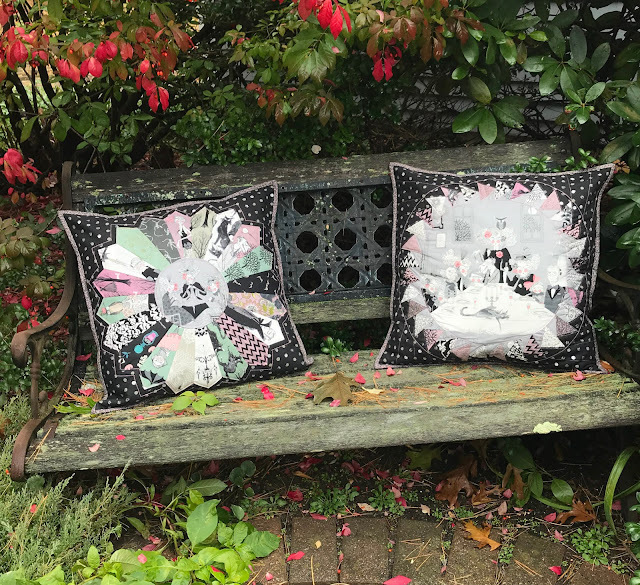 Now isn't that a perfect wall hanging for fall? Sharing my fall spirit at this week's Brag About Your Beauties Pageant by Michelle at From Bolt to Beauty. 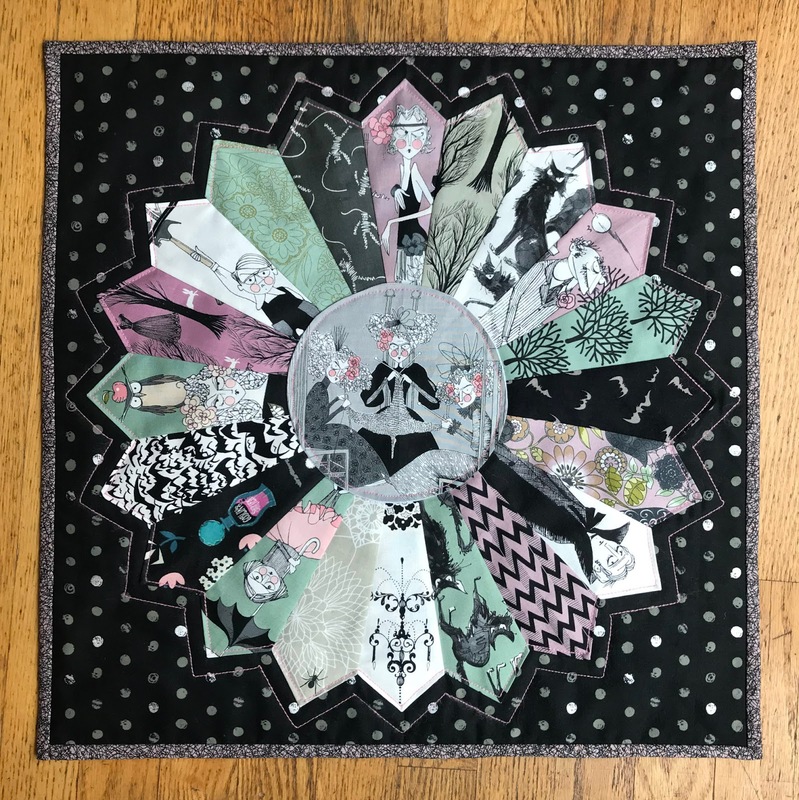 Finished quilt is 24" x 24"
Pattern: Dresden plate using Creative Grids 15° ruler. Fabrics: Eastham by Denyse Schmidt FSDS Slate and Mist. Thread: 50 wt. Aurifil in Ermine (2312). So after finally finishing up my tie quilts my first instinct was to start something new but with Amy's Blogger's Quilt Festival going on I decided to clean up my studio and see if there were any easy finishes lingering in my WIP pile. 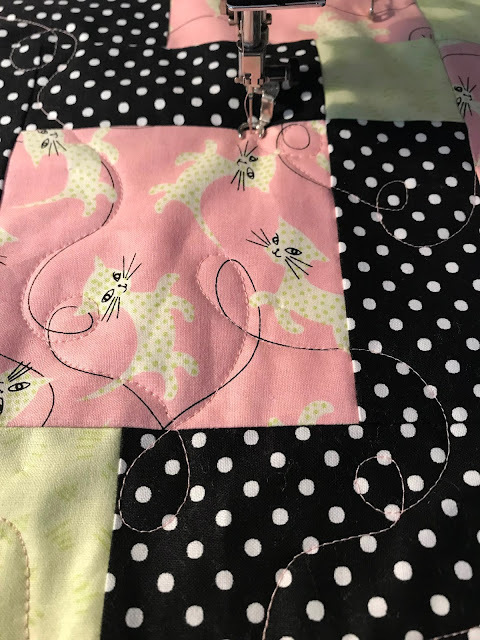 This Spoolish quilt was practically begging to be completed! 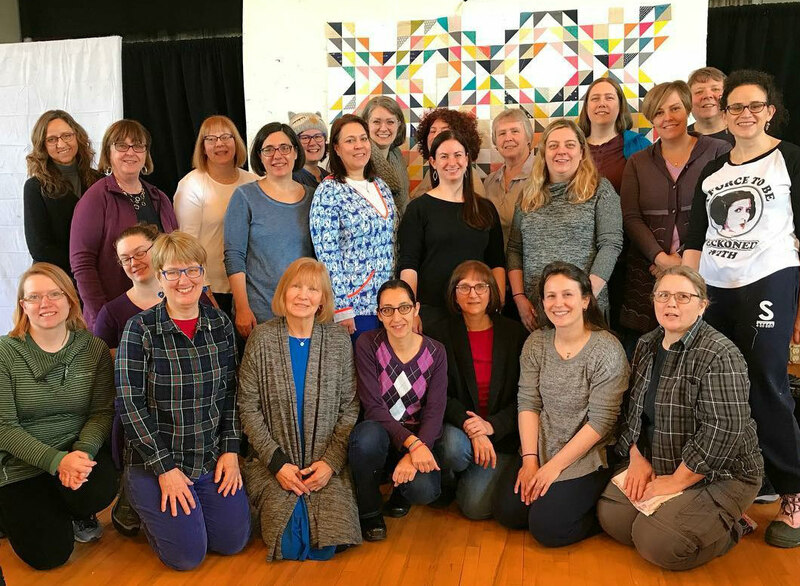 I started this at the Boston MQG's annual retreat for our HST challenge. As soon as I saw Craft South's Liberty Spoolish I knew what I was going to make. I really should know by now that I'm not at my best early in the morning and when working outside of my own studio. 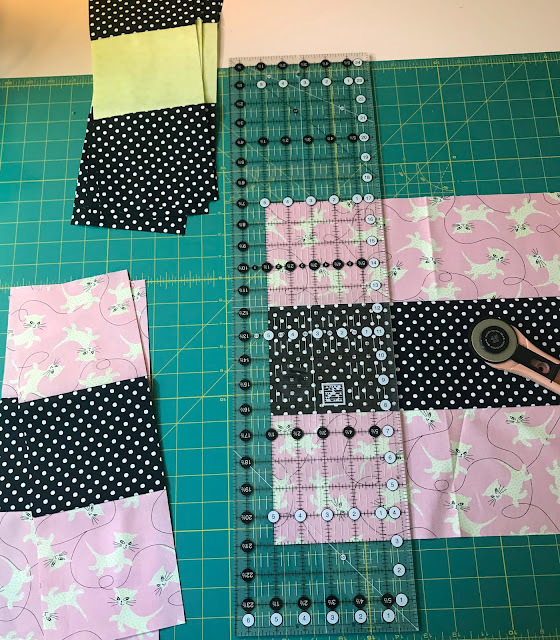 My cutting was just a bit off and some of the resulting blocks are wonky. Since I'd dipped into my precious stash of Tana Lawns I'd collected from the Westwood Acres Liberty Club I decided to live with it and pressed on. 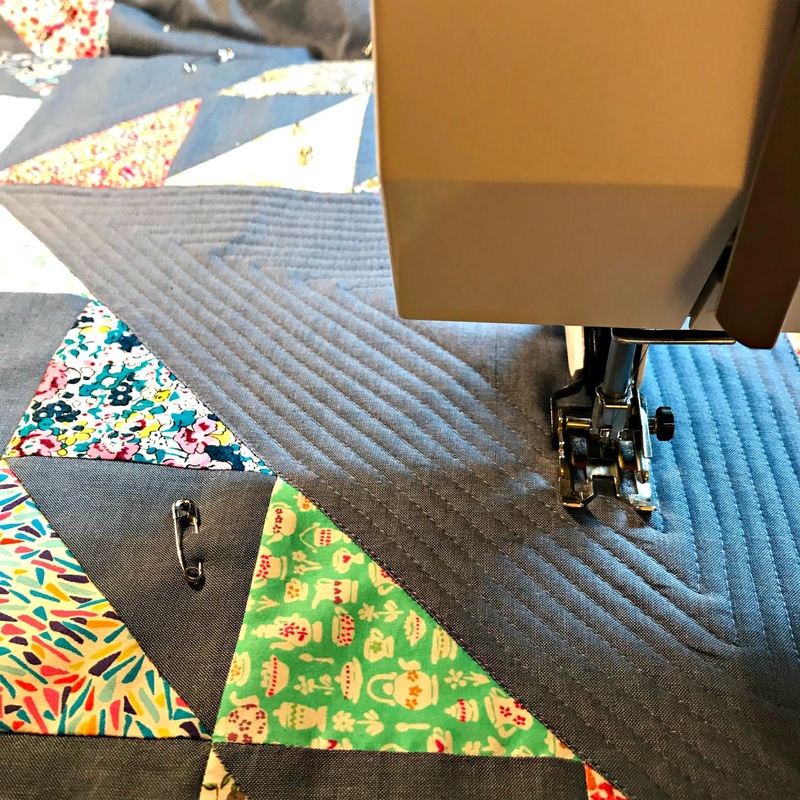 I was still riding the creative high when I got back from retreat and immediately got down to quilting... why do I always think dense quilting is a good idea? Probably because I love the texture it adds... I powered thru and finished up the quilting. All that was left to do was slap on the binding (already made) and tack it down, my most favorite part of the process but somehow it just never happened. Better late than never, a couple of episodes of Dark Matter and this was done. I even got fancy and went outside for some nature shots before it started raining;-) I think this one gives the truest representation of the colors. 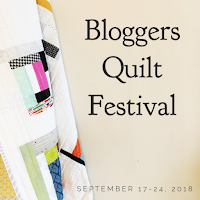 A huge thank you to Amy's Creative Side for hosting another Bloggers Quilt Festival. Be sure to stop by and visit all the amazing quilts! 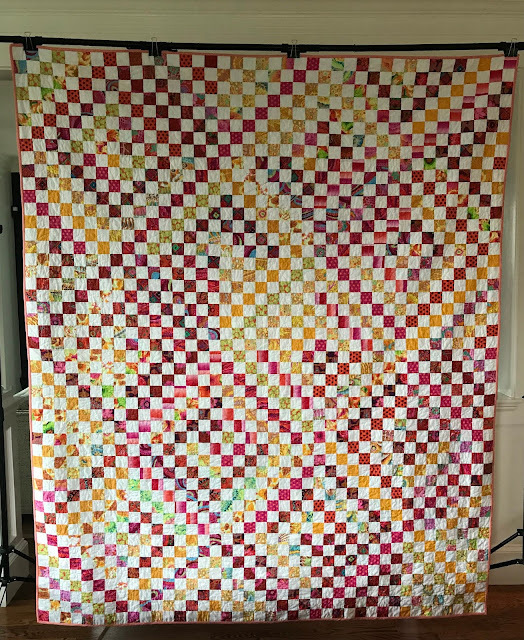 Finished quilt is 34" x 34"
Pattern: Spoolish by Denyse Schmidt. 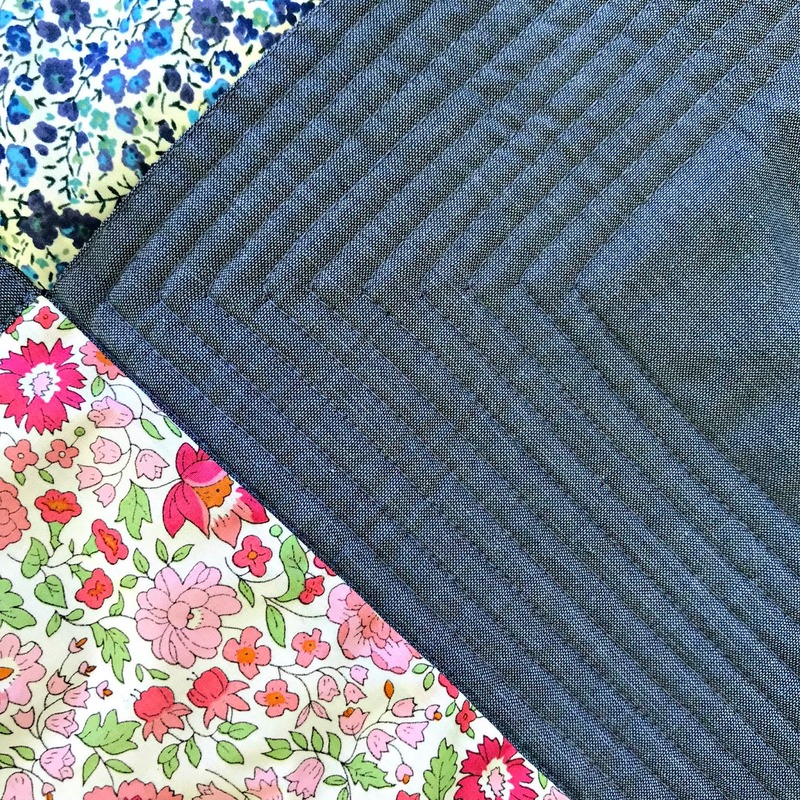 Fabrics: Assorted Tana Lawns from the Westwood Acres Liberty Club, Kaffe Fassett Shot Cotton in Smokey. Thread: 50 wt. 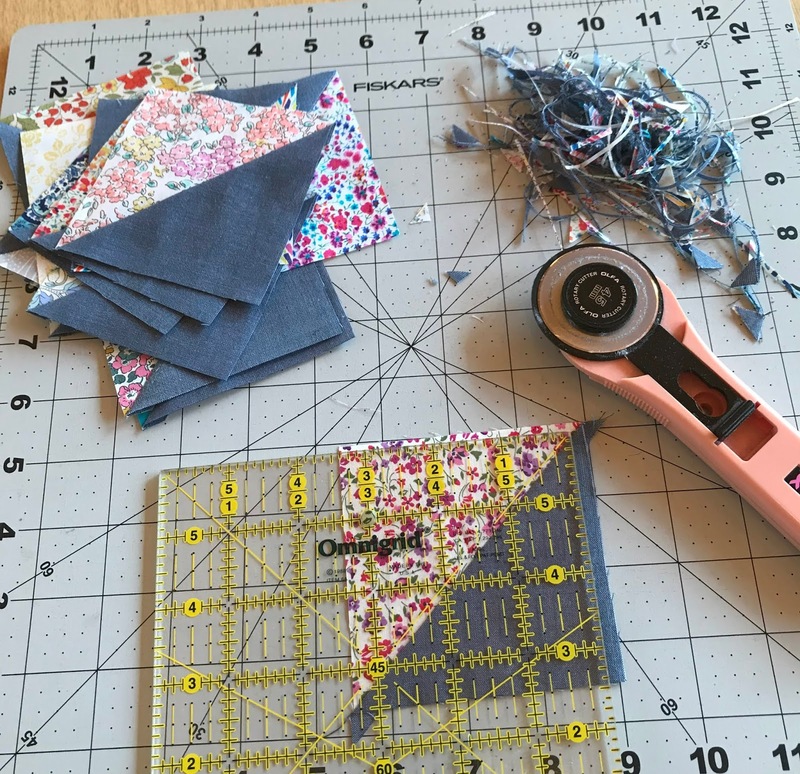 Aurifil in Grey Blue (1248).